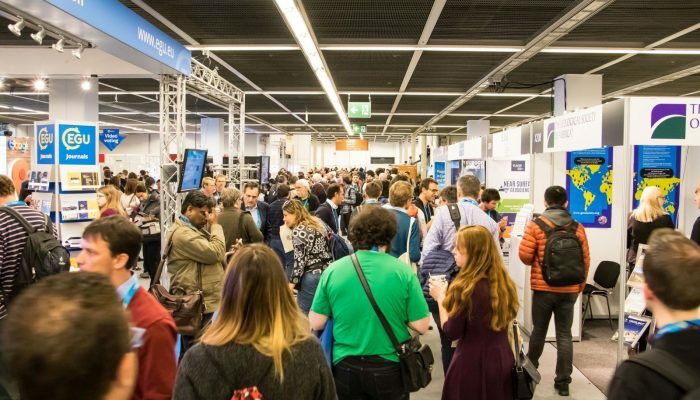 EGU Blogs » GeoLog » Shape the EGU 2018 scientific programme: Call-for-sessions is open! Shape the EGU 2018 scientific programme: Call-for-sessions is open! Explore the EGU 2018 Programme Groups (PGs) to get a feel for the already proposed sessions and to decide which PG would be the best fit for your session. When proposing a session, make sure you consider gender diversity (i.e. is there at least one female convener? ), diversity in countries/institutes, and the inclusion of early career scientists as conveners. A minimum of three conveners per session is generally desirable. The PG officers are on-hand to answer questions about the appropriateness of a specific session topic, so don’t hesitate to contact them if you have queries! You can also find more information about the call for sessions (and the orgaisation of the scientific programme in general) on the EGU 2018 website. A young participant’s experience at the 2018 General Assembly: So much to discover!